LONDON, Apr 4, 2018 - (ACN Newswire) - The Good Report is a unique ranking of the world's best use of creative communications to promote sustainability and social responsibility to raise awareness of major social and environmental issues. It is created in collaboration between ACT Responsible, the international non-profit association and largest global source of the world's best ads on social and environmental issues, and Gunn Report, the global index of creative excellence in advertising. Act Responsible has created 'The Good Report' in collaboration with Gunn Report, to celebrate the wonderful work and dedication that thousands of agencies are making to support these major causes, in order to further motivate and inspire creativity as well as the continued production of new campaigns. 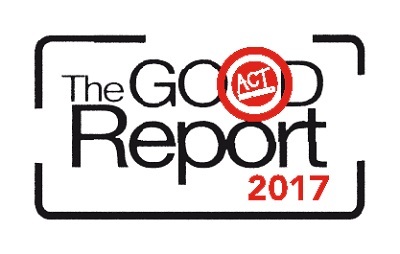 "With The Good Report, ACT Responsible continues its mission of promoting, inspiring and federating the communications industry for the greater Good. We truly believe advertising has a major role in educating and promoting good to help make the world a better place and we are proud the celebrate this work every year. Producing The Good Report with the collaboration of the Gunn Report Team is a great privilege" says Herve de Clerck, ACT Responsible Dream Leader. The campaigns featured in The Good Report will be exhibited at the annual Act Responsible Expo held at the Cannes Lions 65th international festival of creativity in June. ACT Responsible is a Swiss-based non-profit organization created in 2001. ACT stands for Advertising Community Together. The association mission is to federate the Advertising Communications industry around Social Responsibility and Sustainable Development and share good practices. Today, ACT Responsible has created, hand in hand withAdForum.com, a large and unique database of campaigns gathered worldwide, highlighting outstanding work and showing how the advertising industry is playing its role raising awareness on crucial issues. ACT Responsible has built a network of committed agencies, media, production companies, advertisers, institutions, NGOs and corporations all over the world, who believe responsible advertising is an essential focus of modern communications. The association is part of the United Nations Global Compact. 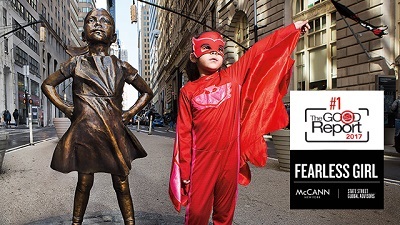 Gunn Report celebrates award-winning qualities in advertising. It ranks the world's best creative, effective and media ideas as well as companies and countries based on their performance in the most important international, regional and national creative, media, effective and strategy awards contests to produce Gunn 100, WARC 100 and Gunn Media 100. The campaigns it showcases have the power to produce an immediate impact on sales and a longer-term impact on brand building. The Gunn Report's research articles further demonstrate the commercial power of creativity. As well as the various rankings, Gunn Report offers a library of more than 3,500 award-winning creative campaigns and a series of research studies. The Gunn Report was founded by Donald Gunn in 1999 and was acquired by WARC in 2016. Gunn Report is available online by subscription.